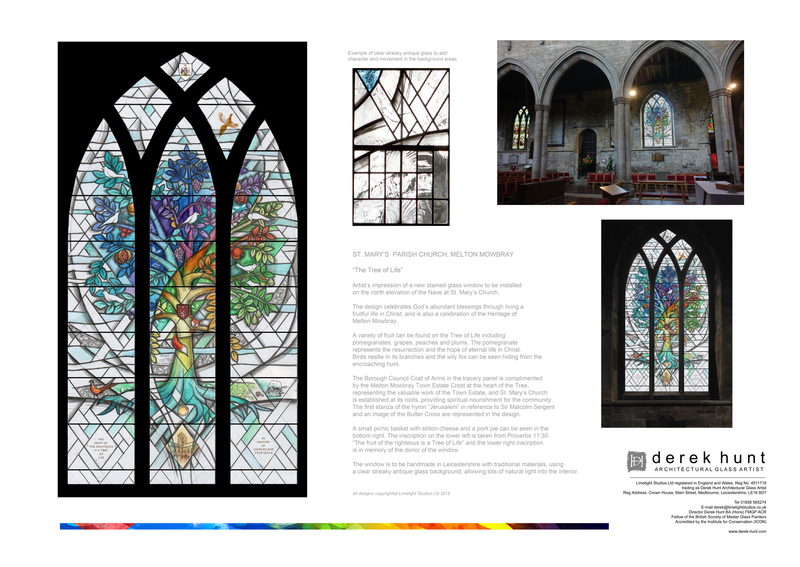 A new stained glass window installed on the north elevation of the Nave at St. Mary’s Church, Melton Mowbray. 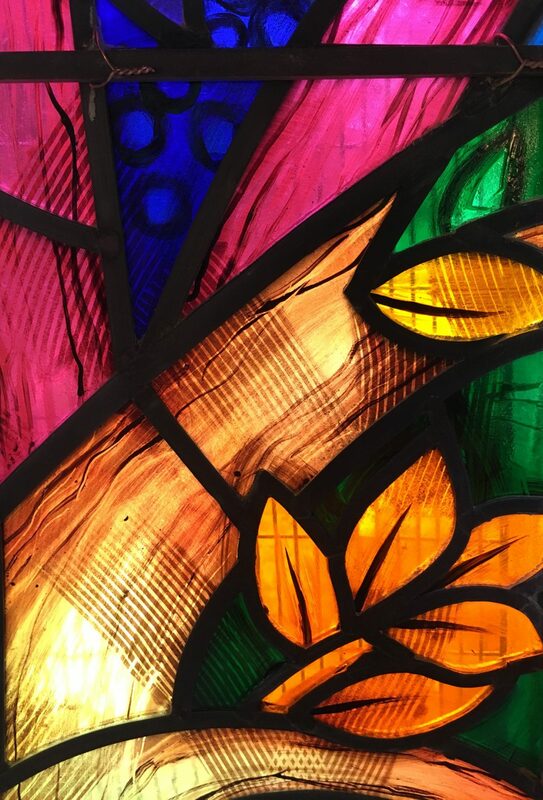 The design celebrates God’s abundant blessings through living a fruitful life in Christ, and is also a celebration of the Heritage of Melton Mowbray. A variety of fruit can be found on the Tree of Life including pomegranates, grapes, peaches and plums. The pomegranate represents the resurrection and the hope of eternal life in Christ. Birds nestle in its branches and the wily fox can be seen hiding from the encroaching hunt. 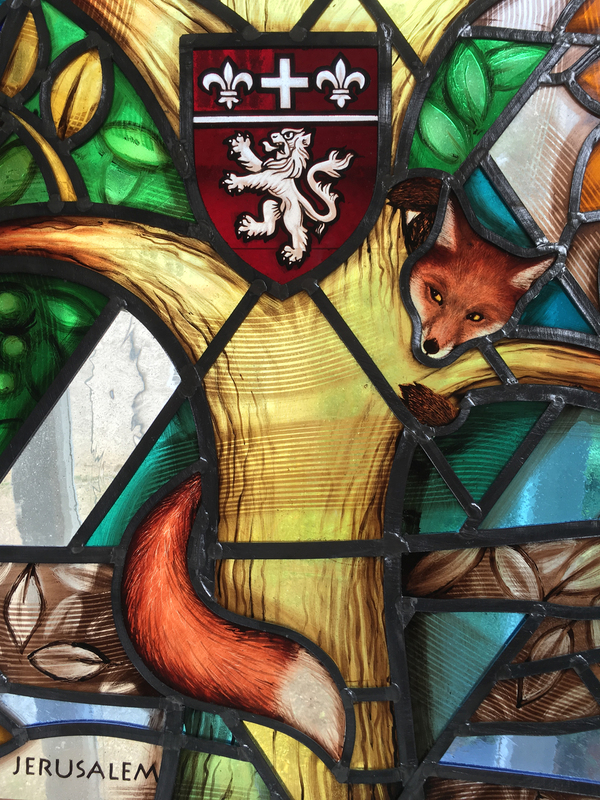 The ancient Melton Mowbray Crest of 1549 is at the heart of the Tree, representing the valuable work of the Town Estate, and St. Mary’s Church is established at its roots, providing nourishment and life for the community. A small picnic basket with stilton cheese and a pork pie can be seen in the bottom right. 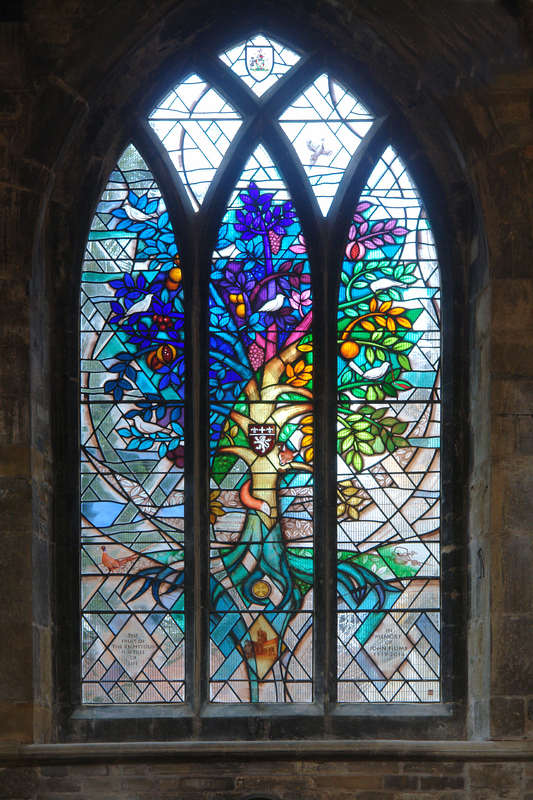 The inscription on the lower left is taken from Proverbs 11:30 “The fruit of the righteous is a Tree of Life” and the lower right inscription is in memory of the donor of the window. 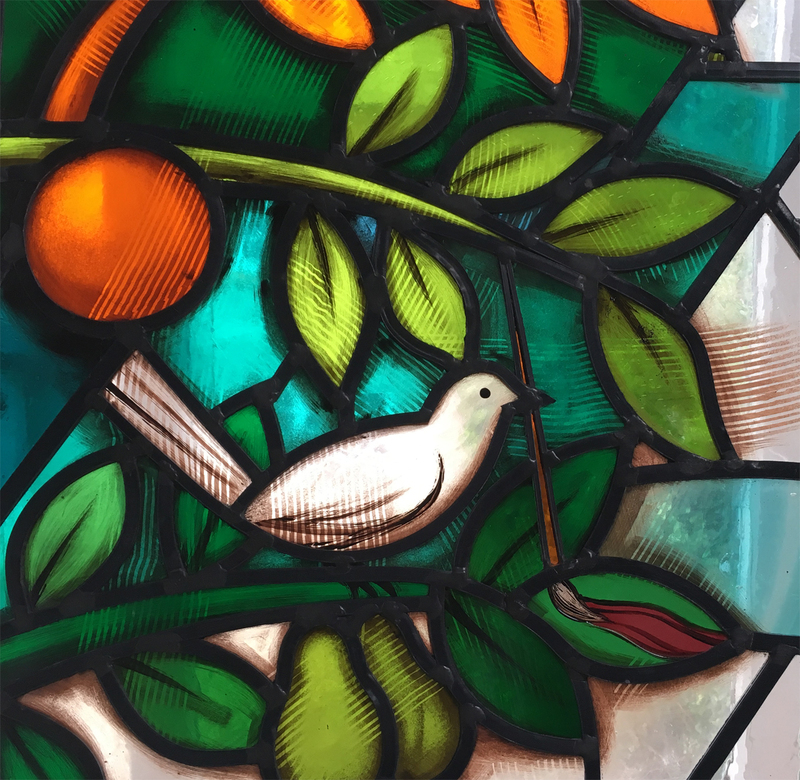 The window is to be handmade in Leicestershire with traditional materials, using a clear streaky antique glass background, allowing lots of natural light into the interior.